In this laboratory, we invite teachers who active around immunology to seminars. The following are content of the seminar. 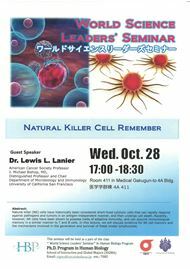 【Venue】 8F Auditorium, Health and Medicine Science Innovation Bldg. 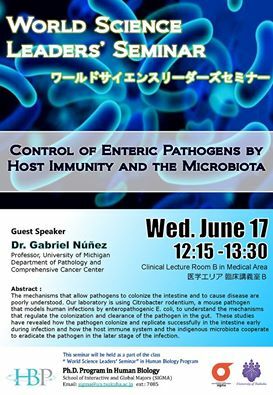 【Venue】8F Auditorium, Health and Medicine Science Innovation Bldg. 【Venue】 Room 411 in Medical Gakugun-to 4A Bldg. 【Venue】 8F lecture hall in Innovation Bldg. 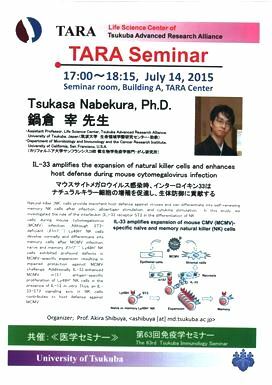 【Guest Speaker】 Tsukasa Nabekura, Ph.D.
【Note】 This seminar will be held in English. 【Note】 This workshop is spoken in English and can be attended to anyone.